to great literature as a blind youth in 19th century France. This is what braille looks like to the sight-abled. Hence, Louis became an inventor at the ripe old age of fifteen. He drew upon a military language called ecriture nocturne, a.k.a. "night writing." Soldiers often used this system of tactile dots to send and read messages on the battlefield — no need for lights, no danger of giving away your position to the enemy. Pioneered by Charles Barbier, ecriture nocturne was the jumping off point for Louis Braille's linguistic work. 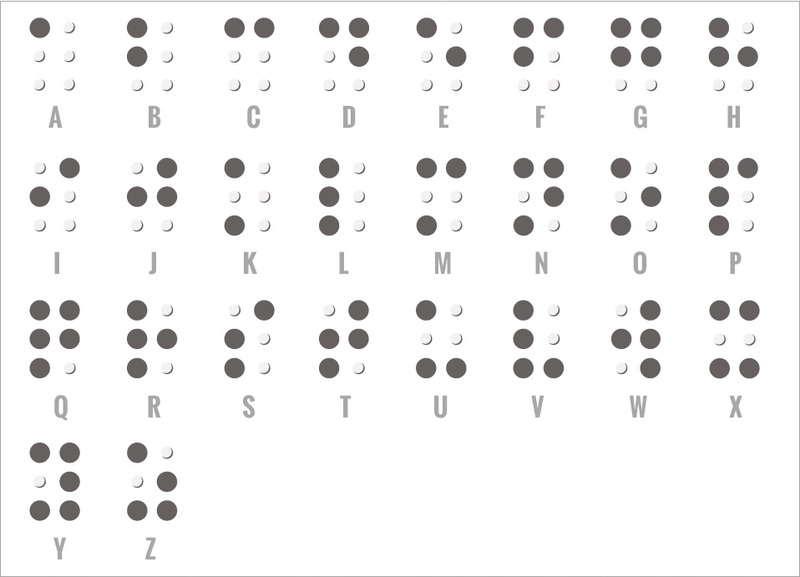 After years of diligence, Braille developed what we now recognize as the international language for the visually impaired.